The Hankey Group is made up of seven companies which combined, employ over 2000 staff members. Due to consistently strong growth, it became necessary to relocate the IT Project Managers Office to larger quarters. Needless to say, the IT responsibilities are immense related to servicing such a large number of employees and it had to be done right the first time…and on time. 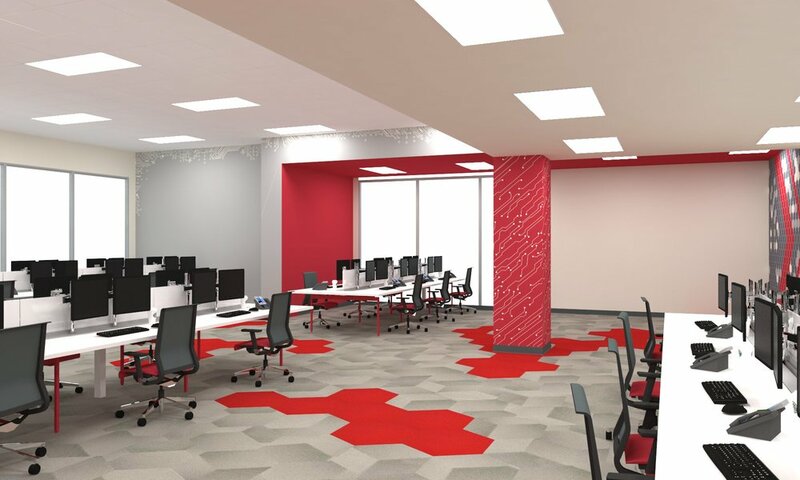 UNILAV Design was retained to assist in Site Selection as well as to Design and Build out the entire project which ultimately included the merging of two entirely separate but adjacent areas. Various test fits enhanced with our in-house photo-realistic visualization system, helped management make the final selection. “A virtual walk through is an immeasurable advantage” – especially since we can present this online simultaneously to over one hundred team members, anywhere you can log in around the world. The design was truly theme-based - utilizing colorful and decidedly “electronic” components. 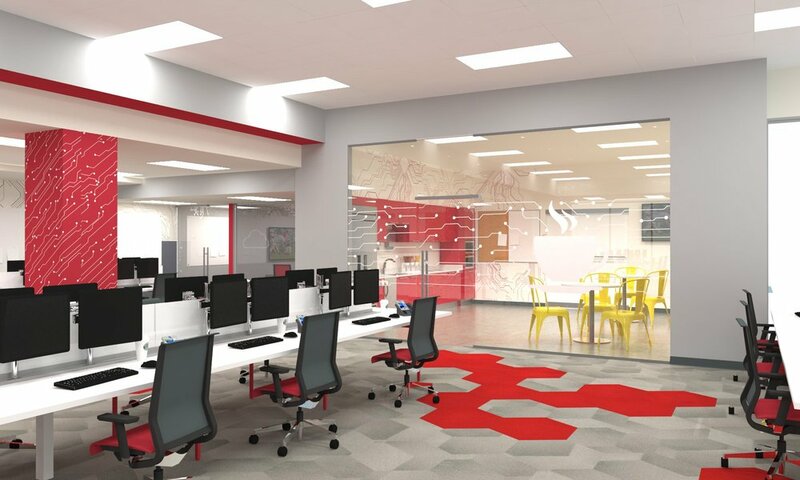 Graphics depicting printed circuitry and naming conference rooms “USB” and “CLOUD” enhanced the connection between space and staff and helped create a fun, open plan environment.